What a wonderful start to our travel adventure! 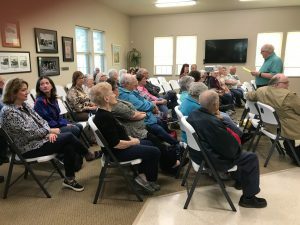 35 friends, community, and family members turned out Wednesday evening to see our “Sentimental Journey” presentation at the Oconto Historical Society Beyer Home and Carriage House Museum. 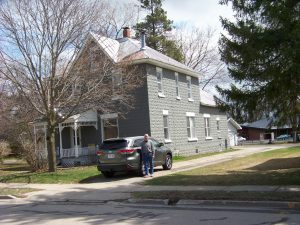 There was high Interest because of Earl and Ethels’ connections to Oconto and Earl’s business, The Daily Reminder. 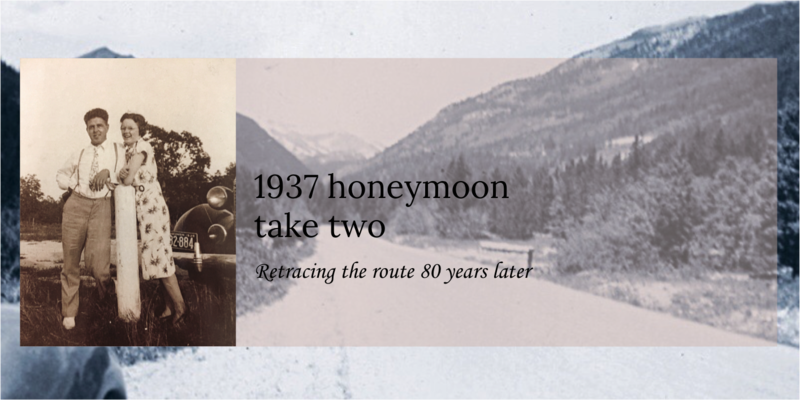 The story holds appeal because of the distance and duration of their trip and the challenges encountered in early days of cross country automobile travel. It makes for a good love story too. 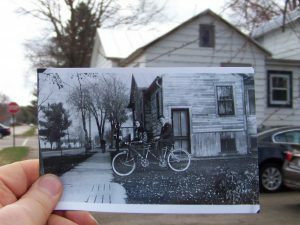 During our first day in Oconto we attempted a “Dear Photograph” capture of Earl and Ethel’s classy tandem bike photo at the backdoor of Ethels childhood home on Collins Avenue. 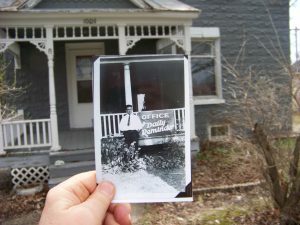 If you are not familiar with “Dear Photograph,” it is a website devoted to taking a contemporary photo while holding and aligning an older photo taken at the same location. A sentence or two about what the photograph means to that person is then added as though speaking directly to the persons in the photo. The site was named one of the 50 Best Websites of 2011 by Time.com and selected as the #1 Website of 2011 on CBS TV’s “The Early Show”. The website developer, Taylor Jones later wrote a book about the same topic. 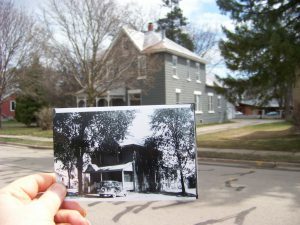 We then drove to their first home on Superior Avenue and took photos there with the owner’s permission. Our Highlander and Carl in the driveway! A special shout out to friends, Jean and Harv Hayden, who drove from Stevens Point just to attend our presentation. The image of Jean doing karaoke to our blog YouTube version of Sentimental Journey is forever burned in our memory! Off to a great start – what a nice way to match up the pictures. Who knew Jean had such talent?? Will you need to include her in all future presentations? Hope you are having fun. Looking forward to more updates. OK, we will look to keep the updates coming. Jean already said they will not be able to make it to Bryce! We are currently in Cheyenne WY. 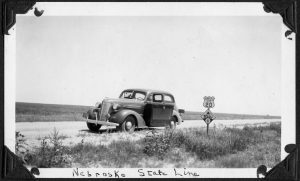 We are a little road weary right now but looking to slow things down a bit in Denver.